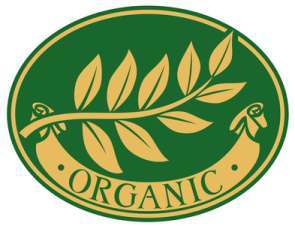 The following article organic raw food diet review is a guest post by Jessica Wiener. Jessica is a specialist in online printing. When she isn't writing, you can find her cooking up a storm in her kitchen or walking her dog outside. When considering a raw diet or even your regular cooked foods, insist upon organic for your foods to give your body the best nutrition possible. There are many popular diet regimens used by people across the United States. Some of these folks want to lose weight, some want to detoxify their bodies and some just want to feel healthier. All these diets recommend eating large amounts of vegetables and fruits. The best way to eat fruits and veggies is in their raw, natural state. The best raw foods are organic. Organic produce is grown without the addition of chemical fertilizers, pesticides, genetically modified organisms or chemical additives. They have not been irradiated or exposed to industrial solvents. 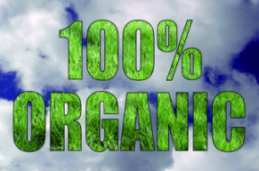 Continued use of pesticides by farmers has filled most non-organic produce with toxins. There is no question that non-organic foods tested contain these chemicals. An organic, raw food diet is optimal for most people. Here are five reasons a raw food diet is better than cooked food. 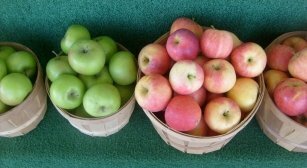 Pound for pound, vegetables and fruits are the kings of nutrition. They have more nutrients per calorie than any other foods on the planet. One thousand calories of raw, organic vegetables is loaded with far more vitamins, minerals and phytochemicals than one thousand calories of boiled potatoes or rice. Caloric density is the measure of energy content found within food. A pound of broccoli has less than 100 calories. A tablespoon of cooking oil has 120 calories. Raw, organic vegetables will satisfy your hunger with fewer calories. Maintaining a healthy diet can be done by keeping caloric density below 400 calories per pound. A blender is a great way to pack your meals with the right kind of vegetables. You can blend an incredible amount of nutrients in one vegetable smoothie. Some of the things you consume aren’t disclosed on food product labels. Baking or frying carbs produces acrylamide, which has been associated with cancer in animals. Browning or carmelizing foods produces molecules that are suspected to be detrimental to your health. Light steaming has no apparent negative effects, but still the best way to get the most nutrients is from raw foods. You’ll feel great and have more energy eating an organic raw food diet. The benefits to your health continue to accrue as you increase the amount of raw food in your diet. 5. Eliminate the bad things in your food. By cutting out processed foods, you’ll avoid such additives as artificial coloring, preservatives and monosodium glutamate. Here are four health benefits from eating raw foods.